Every puppy is different and every dog unique. There’s rambunctious and loud and quiet and docile. Whatever your style, you can be certain of one thing: puppy obedience training is a must when it comes to raising a well-mannered canine. With proper training, puppies learn good socialization while forming healthy bonds with their people. So begin obedience training immediately after your fur ball arrives home. Consider your selected breed, your puppy’s size and age, as well as any relevant breed history. Before we dive too deep, let’s first clarify a few terms and phrases. What is Puppy Obedience Training? Through puppy obedience training, a pet learns what his or her proper role is both in a family as well as in the world at large. 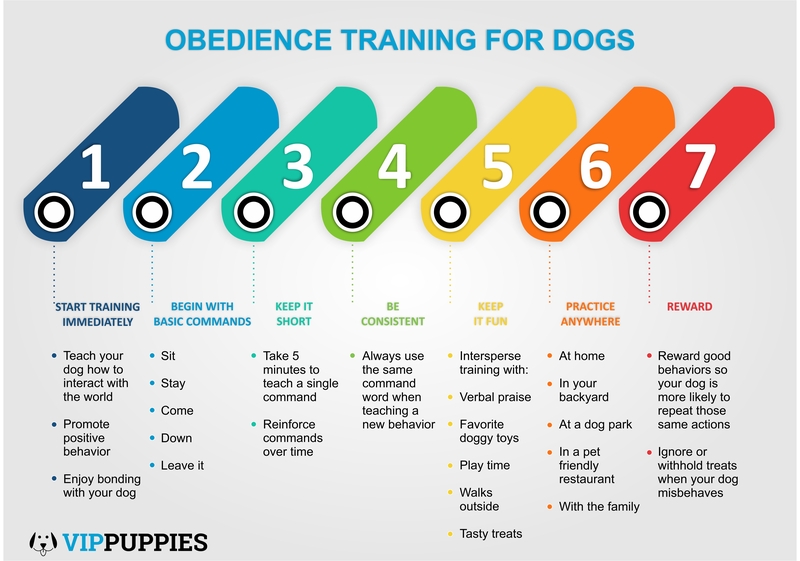 Obedience training teaches and reinforces how a puppy should interact with the world around them and rewards good behaviors toward other dogs, adults, children, cats and additional pets who may already be living in your home. 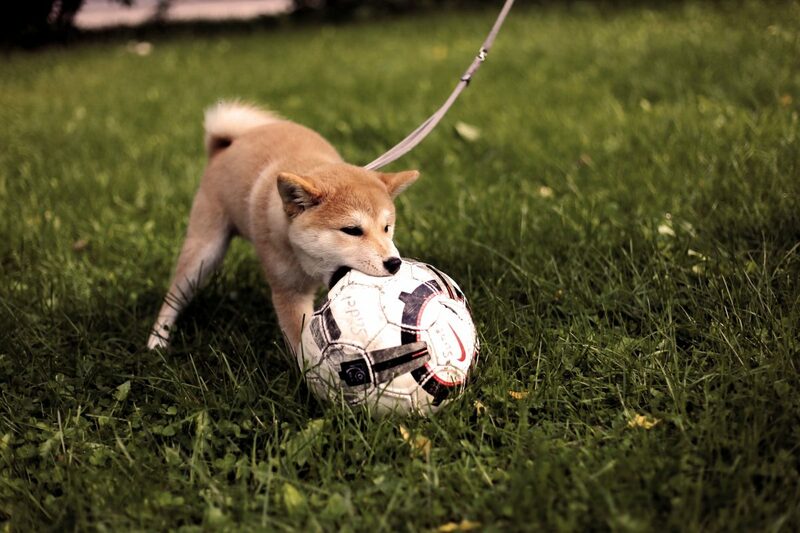 In addition, obedience training promotes positive behaviors while fighting boredom in active canines. Training can begin with simple commands such as ‘sit’, ‘stay’, and ‘no’. By learning these commands at a young age, your puppy will live safer as her/she will be quick to follow your command. After initial commands are taught and reinforced, training can become more complex and individualized for each canine. Puppies and grown dogs can learn to stay in a crate, sit patiently without begging, walk properly on a leash, and avoid whining. Unless your fur ball will be living outdoors, you’ll also want to house-train her (also referred to as housebreaking or potty training) so she knows exactly where it’s okay to eliminate her waist. By beginning training at home, you are able to tailor each training session to your personal lifestyle as well as to your dog’s individual needs. Just be sure your dog learns early to listen and follow your instructions. For optimal training results, positive reinforcement has proved clutch as a means for teaching growing canines. In short, positive reinforcement is when a trainer rewards good behavior so the dog is more likely to repeat that same action. Negative behaviors or either ignored or rewards are withheld when a puppy misbehaves. Through positive reinforcement, clear communication is established between a trainer and dog. A variety of behaviors can be learned as puppies are able to learn good manners in a positive and loving environment. In short, puppy socialization occurs when puppies are exposed to a variety of people, animals, places, sights, smells, and sounds. By being exposed to such variety, puppies learn how to thrive in environments outside the comforts of his or her home. Once proper socialization occurs, you can be confident that your Fido understands how to interact well with the world around him. Negative behaviors will diminish, positive behaviors are reinforced, and your favorite little fur ball will be more welcomed by the world around him. Sure, it can be fun and exciting to teach your growing fur ball good behaviors such as sitting and lying down. Still, don’t forget about those pesky behaviors that only grow more annoying over time. At meal time, it’s not uncommon to meet longing puppy eyes as your cute little pup attempts to beg for a few table scraps. No matter how cute the gaze, always avoid feeding your little pal table scraps. Depending which food you are enjoying, it will only prove dangerous for your little fur ball’s digestive system. By avoiding table scraps, you’ll have more control over your puppy’s menu as you can ensure she is eating a balanced and nutritious diet. If you want to treat your puppy with something special while you enjoy your next steak dinner, consider treating your Fido with these tasty doggy treats. Not only are they packed with wholesome ingredients, each treat is also designed to promote strong teeth, healthy gums and fresher doggy breathe. Ultimately, you’ll enjoy control over your puppy’s menu as you ensure he/she is getting the nutrients she needs while steering clear of all signs of obesity. Additional signs to look for in your puppy are signals of aggression or fear. An aggressive dog will try to make himself larger by sticking his ears straight up and wagging his tail in the air. He’ll sound a deep growl, raise the hair on his neck, and puff his chest. On the contrary, a timid or fearful dog will try to appear smaller. Regardless his age, he will display puppy behaviors and keep his tail low while wagging it rapidly back and forth. Both aggressive and fearful behaviors should be curbed in any maturing canine. Excessive barking can soon ware on one’s nerves and is never a desired trait in growing dogs. Yet while it’s not always desired, for many breeds barking is a consistent part of canine communication. 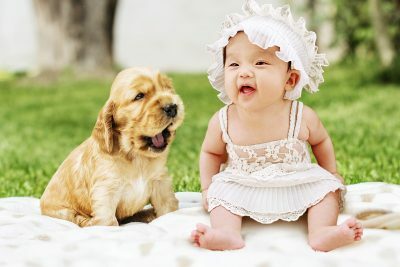 So make it clear to your growing puppy when barking is acceptable as well as when it’s not okay to sound their tonal cry. For example, when there’s an intruder, a bark is absolutely necessary. Yet if it’s just a jogger passing by, there’s no need to sound an alarm. Whining, however, should always be avoided. Be slow to reward a whining canine. Instead, if your puppy or grown dog begins whining, you’ll do yourself a long term favor by simply ignoring the cry. If you do show any signs of comfort in response to whining, your dog’s behavior is only reinforced and he will be even more likely to continue whining in the future to get his way. For detailed instructions on how to teach these commands to your puppy, click here. Fortunately you needn’t be alone when training your growing little fur ball. If you are feeling ambitious, you can begin training at home with just you and your puppy. Alternatively, you can search for an obedience trainer in your area who offers one-on-one puppy training classes or enroll your puppy in professional puppy group classes. 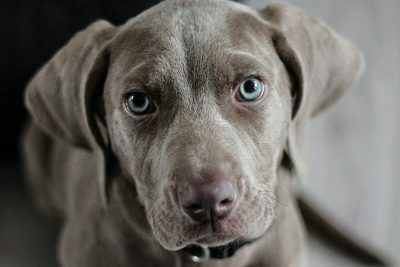 Should you decide to train your puppy yourself, begin immediately after your puppy arrives home. Choose one behavior to focus on first. Once your puppy understands your first command, move on to the second command and so forth. While you only want to focus on a single command at a time, plan to touch on all the basic commands over time. Attention spans run short for cute little puppies. As a result, keep training sessions quick. Take five minutes to teach a single command and then reinforce it over time. Be sure to end each session on a fun note so your puppy will be happy to jump right back into training when your next session rolls around. Always use the same command words when teaching a new behavior. While the initial training for each command shouldn’t exceed five minutes, look for ways throughout your day to practice and reinforce a command. Always reinforce each command with a behavior. Then reinforce that behavior with a reward. When you practice anywhere, your dog soon learns to respond anywhere. Never confine training to only a single room in the house or corner of your living room. Instead, look for various places to practice good behaviors with your pup. Practice at your home, in your backyard, at a dog park, and in a pet-friendly restaurant. Wherever you might later take your dog, visit those places now and begin practicing good behaviors. 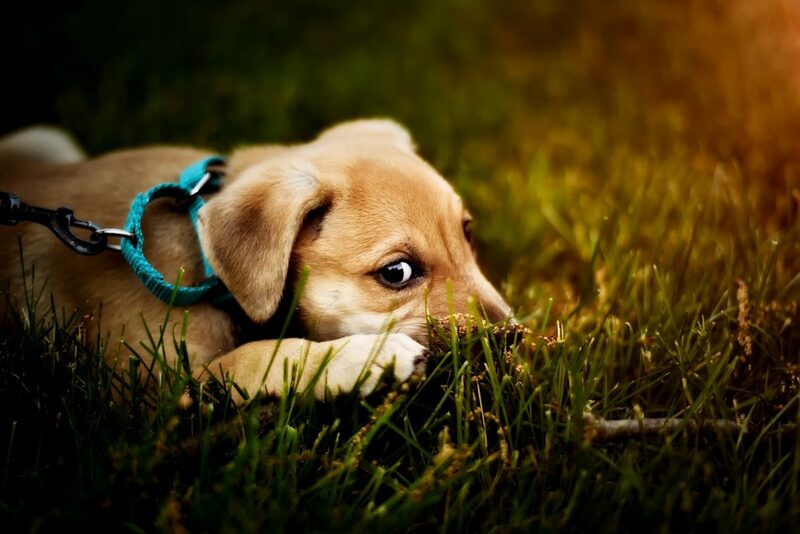 It is critical your puppy learns early to obey even when he or she may be feeling distracted. When practicing good behaviors, get the whole family involved. Sure, there may be a sole pack leader for the dog. However, when the whole family aids in rewarding and reinforcing positive dog behaviors, a puppy learns to obey and take instructions from multiple people rather than from just their pack leader. Who doesn’t thrive on a pile of praise and a heap of rewards after finishing a task? Your dog is no different. Be quick to lavish praise on your pup when he is behaving well and toss in favorite rewards to keep the learning fun. After a command is mastered, wean your puppy off treats for that behavior and move on to the next command. This way as your puppy matures, she’ll understand that good behavior doesn’t always mean a delicious snack. If you are needing help or you simply want a professional trainer to work one-on-one with your puppy, consider hiring a professional obedience trainer. What training methods does the trainer utilize? Are the classes offered relevant to you and your puppy’s needs? Is your personality compatible with the trainer? What certifications does the trainer hold? Does the trainer offer in-home training? If not, how far will you need to travel when accessing the trainer? 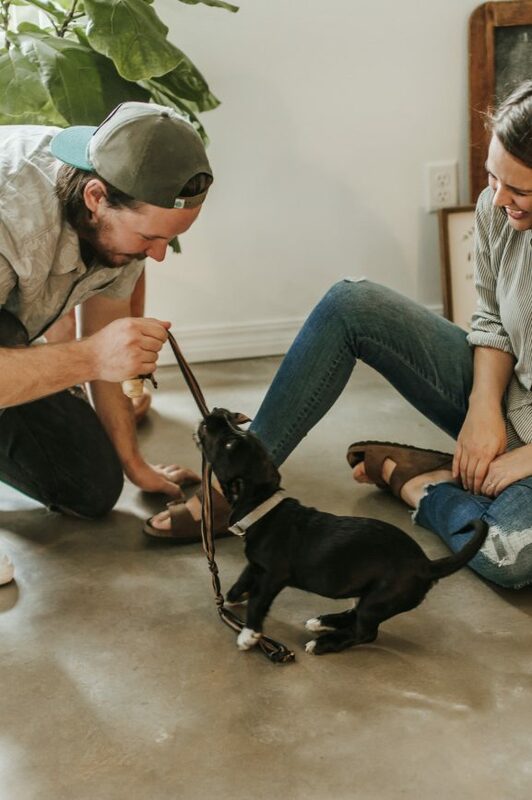 In addition, if the trainer offers group dog training classes, you can often attend (without Fido) and observe a class prior to enrolling your puppy. If you do choose to take this route, take note if the dogs in the class appear happy, excited, or relaxed throughout the training session. How does the instructor present him or herself? Is she kind and caring with each dog in the class? How does she encourage good behavior? Prior to your puppy’s first group session, be sure you feel comfortable with the training environment and can ensure a safe learning experience for your puppy. Perhaps you prefer a class environment over one-on-one training. If so, search for professional classes in your area. These classes may be offered by local obedience trainers or through a nearby dog day care center or pet store. Through such classes, lessons learned at home can be reinforced and you are able to gain guidance from training experts. When looking for a professional class, ask your local veterinarian or local dog friends for referrals in your area. Unfortunately, depending on your location, group training is not always an option. For families located in rural areas, distance is often a hindering factor. Once basic obedience training is complete, dogs can advance to further and more extensive training, depending on your goals. Additional classes could include training in agility, tricks, flyball and rally. 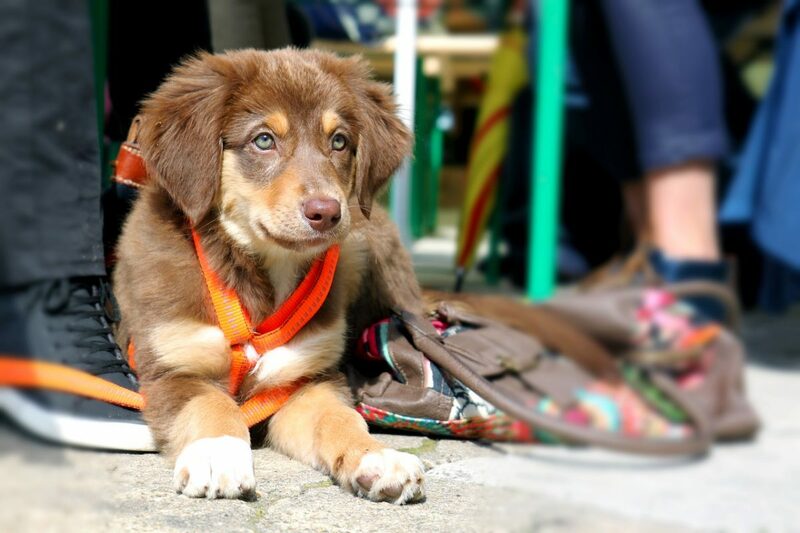 When Should You Take Your Puppy to Obedience Training? Puppies should be enrolled in puppy obedience training between eight to ten weeks up until five months old. Trainers and professional classes may be open to puppies and dogs beyond five months. However, the best time for enrolling puppies in obedience training is between eight and ten weeks up until five months of age. How Much do Puppy Training Classes Cost? 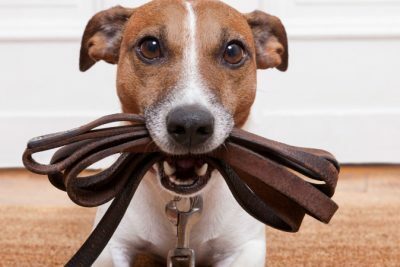 Like other services, the cost varies greatly when browsing obedience training options. Local community centers, dog day-cares, and pet stores offer group training sessions ranging often between $50 – $125 for four to eight weeks of one-hour sessions. Alternatively, private trainers may charge $80 – $125 and beyond for a single, one hour session. Some trainers will offer bundle packages at a reduced price. When training your puppy, no matter what method you use, be patient. You’ll make mistakes and so will your puppy. Extend grace and enjoy bonding deeper with your growing puppy friend. Puppies aren’t born knowing exactly what you want. Always be clear, kind, and consistent when correcting a behavior. Regardless of your puppy’s breed, know that obedience training is for all dogs. No matter the size, personality, or winsome charm of your little fur ball, obedient behaviors are always essential for a happy and healthy doggy life. Perhaps you’ve already started training your dog or little fur pup. If so, what have you found helpful along the way? We’d love to hear in the comments below.